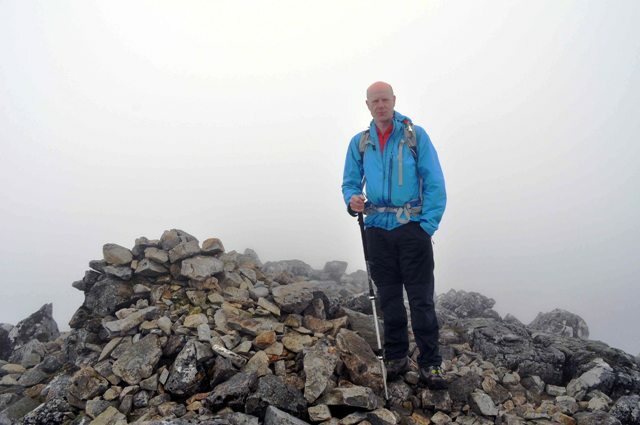 As part of our series of “meet the locals” we spent some time on a guided tour of Glencoe, with Keith Melton, owner of Go Glencoe Guiding and the Glencoe Independant Hostel. During our long walk up one of Glencoe’s stunning mountains, Buachaille Etive Beag, we spent some time in-between some stunning scenery to ask a few questions. What is special about a holiday in Glencoe? There really is something for everyone – wonderful landscapes to relax in, great food, top pubs, but for me it has to be the mountains. There are not many places as spectacular as Glencoe, it’s world class! 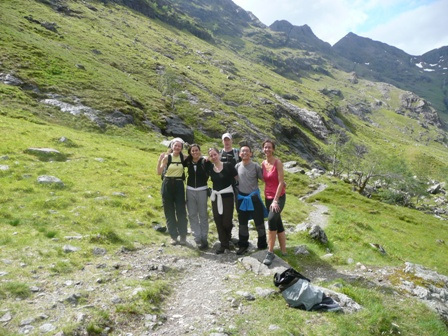 Why is Glencoe ideal for walking enthusiasts? Again, there is something for everyone from those who need to use a wheelchair (or pram!) friendly trails to full on mountain days. 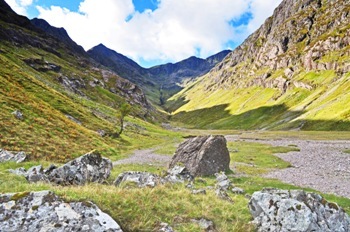 There is so much more to Glencoe than first meets the eye – and not all of it on the intimidating rocky buttresses. You offer accommodation as well as guided tours – can you share a little information for our readers about your accommodation. Sure – my business is called Glencoe Independent Hostel. We offer our friendly, communal and shared hostel and bunkhouse accommodation, but we also have private, dog friendly self catering options too. We have 5 luxury static caravans, 1 brand new this year, and a lovely little log cabin which is perfect for couples. What can people expect from one of your guided walks? I really try to animate the walks for my guests to make them as interesting as possible. I know a lot about the history of the area as well as the geology, plants, wildlife and so on. The main attraction is the scenery though – all of my walks have lots of it from sparkling lochans to gurgling rivers, crashing waterfalls and soaring peaks. I’m passionate about the area, mountains, the people, and hope that shines through! We like to tell people about special places in Scotland – can you suggest some lesser-known attractions around Glencoe? Glencoe is very well explored so this is quite a hard one! I love cake and coffee so Glencoe Café in Glencoe Village is fantastic. To work the cake off I suggest a low level walk along the Lairig Gartain. This runs between 2 of Glencoe’s finest mountains – Buachaille Etive Mor and Buachaille Etive Beag, with fantastic views of both and the most beautiful crystal clear stream running through it. Most people only use it to get off the high peaks however it’s well worth exploring in its own right. What would you advise to walkers in the area over the winter months? There are quite often still low level walks that you can do in winter that don’t require any mountaineering equipment. If you are heading high make sure you are properly equipped in terms of equipment and experience and make sure you have up to date avalanche and mountain weather forecasts. And if all else fails there’s indoor ice climbing, and cake and coffee in one of the excellent local cafes! What wildlife can visitors hope to see during one of your walking tours around Glencoe? Anything from tiny voles and mice to mountain hares, red and roe deer and some fantastic birds too – grouse, ptarmigan and very occasionally the awesome Golden Eagle. What tips do you have for visitors to Glencoe. PLAN AHEAD!! There is a lots to do in the area, but it always pays to plan ahead, especially if travelling by public transport. Look at the activities you are interested in, check they are open and consider pre-booking. Things fill up fast in peak season. Can you share some of your favourite routes in the area? There are lots! My favourite introduction to Glencoe, and possibly walking in general, would be along the valley floor from Loch Achtriochtan and up into the Lost Valley. This gives a taste of everything – gentle low level walking by the Loch, gently rising trails towards the Pass of Glencoe and then some steeper stuff into the Lost Valley. All surrounded by ever changing mountain scenery. My favourite mountain walk would be Buachaille Etive Beag – big enough to be a full mountain day with top views into Glen Etive and Glencoe but small enough not to be too exhausting! If you where to keep one Mountain in Glencoe, which one would it be and why? I’d say Bidean nam Bian. It’s a huge mountain with lots of different route options and some fantastic airy ridges. Do you offer walks for all ranges of experiences and ability? Yes – it’s the main reason I do this. Glencoe is stunningly beautiful, but can be very intimidating. There are no signed paths on the mountains and route finding can be hard. I like to show people that there really is something for everyone and you don’t need to be a super fit mountain athlete to enjoy it. I’ve taken everyone from children to grandparents out! If you had to guide anywhere else apart from Glencoe where would it be? I’m obviously biased but Scotland in general and Assynt in the far north west corner in particular. It’s another jaw dropping landscape with singular peaks soaring out of the waterlogged landscape. I’ve guided in most areas of the West Coast at some point.